Floor cleaners for all commercial situations. We specialise in environmentally friendly floor cleaning products. If you are concerned about your polished floors, waxed floors or laminated flooring being damaged while cleaning, you will need a pH neutral cleaner. These floor cleaners are designed to protect your flooring while cleaning. We have several cleaners that can be used on sensitive floor surfaces. The Solucare Neutral Capsule Cleaner can be used in all floor and hard surface areas that need protection. 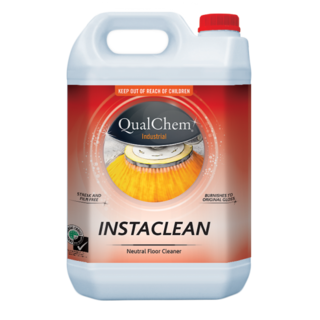 The Green Earth Floor Cleaner and Instaclean Floor Cleaner are also pH neutral and can be used on any surface that is not harmed by water. 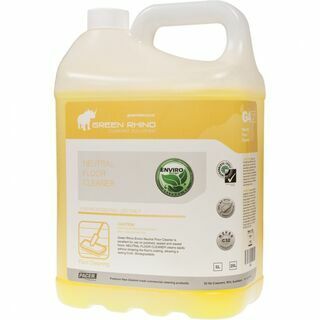 The Green Clean Floor Cleaner is an antibacterial floor cleaner that is made from plant based ingredients. If you like a fragranced floor cleaner the Solucare Bib Floral Hard Surface Capsule Cleaner or Instaclean are fragranced. If your floors get quite greasy then a degreaser will work for you. 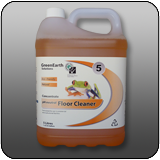 Environmentally Friendly Floor Cleaners for all types of floors. Do you floors get greasy? We have heavy duty degreasers for greasy floors. Do you have wooden floors or laminate floors? A pH neutral floor cleaner will work best. Hardwood Floor Cleaners, Heavy duty floor cleaners.